To avoid misunderstandings, be sure to record the video. The video should start before the payment, the video should show the system time on your computer. The complaint of the buyer to the invalid account will be considered only if there is a video above. Otherwise, the store reserves the right to refuse the buyer to provide a replacement. 1. The store provides you with an account immediately after payment. All accounts have the form - LOGIN: PASSWORD. 2. The answer to a secret question is provided in the goods, the names of which are the line: (+ Secret). 3. The language was not tested. If you do not arrange the language in the game this is not a reason to replace or return! 4. Access to the post office is not provided. 5. Many accounts may have other games, such games are a bonus. 6. All operations for changing the data are carried out by the buyer. We do not provide methods for changing data. 7. We are not responsible for your actions. Can you change the password / resold / gave the friend / computer viruses / etc ..? 8. Refund only if the seller is unable to make a replacement within 72 hours from the date of purchase, otherwise there is no refund. 9. Claims and replacements only with the provision of video purchase and data entry into the account (Recommended programs: for recording - http://www.bandicam.com/en, for downloading - http://www.dropmefiles.com). Please do not leave feedback "BAD" until the problem is solved, but just write a message in the form of correspondence with the seller. Seller will reply to your message in 72 hours, usually reply to in 12 hours. If you do not agree with at least one of the items, please refrain from buying. Thank you! 2. Download the game client. Witcher 2 Killers of Kings - the second part of the saga about the white-haired witch Geralt, created based on the cycle of novels by Andrzej Sapkowski, which stands out not only as an exciting storyline, but also as a new game engine, as well as an original combat system based on really existing styles of hand-to-hand combat and possession of cold steel . 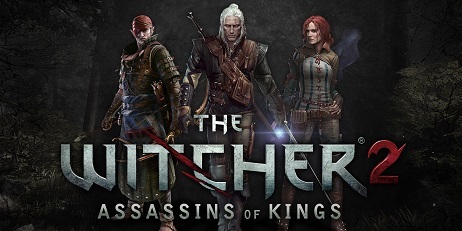 Vague, unkind times enveloped the Northern Kingdoms of the game Witcher 2. Heroes do not change. The player will again be in the shoes of the White Wolf - a professional fighter of the wicked witch Geralt, descended from the pages of the fantasy saga Andrzej Sapkowski. A new level of freedom. Three randomly intertwined story lines. From the actions of the player, each key event that leads to one of several alternative endings depends. The "living" world. Every event that takes place in RPG Witcher 2 Killers of kings are interconnected and constitute a single chain of causes and effects. Each non-player character has a character and acts by virtue of his beliefs and goals. Individual style. The player can develop his character, according to his desire, combining three parameters - the art of magic, possession of the sword and alchemy. Many variants of development. The effects of each skill can be modified, depending on their preferences, using a new system of mutagens. In the game Witcher 2, it is possible to create about two hundred different items - armor, belt, leggings, gloves and others - using the Skill of Handicraft, and also to choose the best outfit. With a sword in his hands. Created in the traditions of the first part, the renewed combat system of the Witcher 2 Killers of Kings, has greater freedom to make tactical decisions and is distinguished by high dynamics.